A teenager landed in court yesterday after he was caught bringing a knife he bought in Switzerland into school. A team of firefighters are battling wildfires on a north-east estate this evening. An Aboyne-based charity’s video has hit the headlines after a volunteer entertained a field of horses with bagpipes. Not content to sit on her laurels all day, one Aberdeenshire centenarian has been reaping the benefits of a new healthy initiative being rolled out across the country - by lifting weights and getting active. A north-east farm will be transformed into a hive of activity if plans for a bee shed are approved. John and Elizabeth Crothers have lived all over the world from Brazil to Indonesia, but nowhere has felt more like home than Aboyne. Students from a north-east secondary school have been given a unique look at the career opportunities within tourism and hospitality. Financial woes and a shortage of hay bales have put the brakes on a hugely popular Aberdeenshire car festival. Two Deeside hotels have had their expansion plans approved. 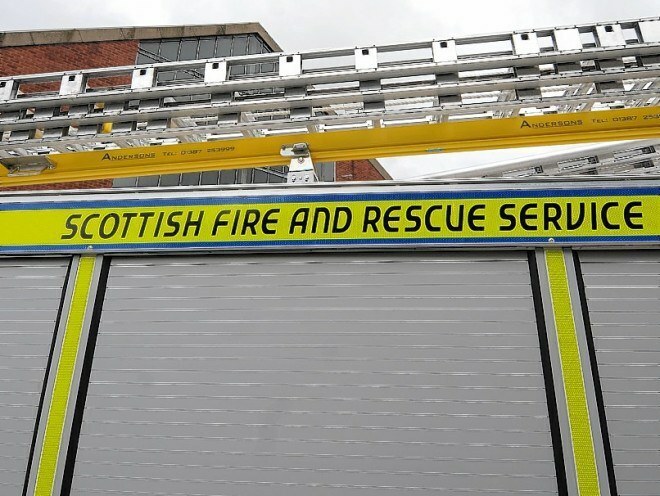 Two fire engines have been called to an incident at an Aberdeenshire community centre. A spokeswoman for the fire service said they were called to the scene at the Deeside Community Centre on Ballater Road in Aboyne at 11.24am. The two appliances are still in attendance. More to follow. The Baron of Cluny has announced his engagement to his childhood friend after he surprised her with a proposal while they were ski-ing in the Alps. The starters’ flag has been raised for the return of the Royal Deeside Speed Festival. Dozens of community groups across Scotland are celebrating after receiving a share of more than £1million of National Lottery cash. The family of a man killed in a car crash at the weekend have spoken of their “overwhelming” loss as police investigations into the accident continues. A Deeside veteran who has suffered with post traumatic stress and loneliness has rediscovered his pride after taking in a dog with famous military connections. Aberdeenshire Council intends to carry out a site visit to a bed and breakfast in Aboyne which has requested permission to expand its business. Police have urged motorists to take care when driving through parts of Aberdeenshire tonight, amid reports of strong winds felling several trees. Engineers are currently working towards restoring power to an area of Aberdeenshire as Storm Caroline begins to batter the region. Hundreds of pupils across the north-east enjoyed a surprise day-off to play in the snow yesterday as a wintry blast of weather forced dozens of schools to close. A man has died after a two-vehicle collision on a north-east road. One person has been injured in a crash on a major north-east route. From a dream romance that should have lasted forever to the cold hard floor of a jail cell.